It is always a good time to take a home loan if you are really steadfast about owning your very own residence. The home loan industry in India is taking shape very positively and we have many good home loans on offer. But how do you choose the best home loan and which type of loan is better suited for you? Take a look at this article to get the answers to these questions and also to get a clearer picture of the Indian home loan scenario. Select a floating rate home loan: Always opt for a floating rate when taking a home loan. This point is pertinent how simply because of the decreasing home loan scenario. Had the scenario been that of a rising home loan interest rate, then a fixed rate would have worked in your favor. Make prepayments when possible: A majority of the home loan providers in India do not charge you for foreclosing the home loan. So you can make prepayments on your loan and close it whenever you wish to do so. It is advisable to foreclose your home loan if you come in contact with a large inheritance, get a work bonus or earn some high amounts of money in your business. Your interest burden will be wiped out and you will end up saving a lot of money in the long run. Keep an eye on the revised rate of interest: Did you know that every time the home loan rate is revised, the interest charged to you is lowered? Yes, that is correct! So keep an eye on the latest news and check as and when the rates are revised. Ensure your home loan provider lowers your rate at the right time. This will lead to you paying a lesser EMI amount for the same loan disbursement. When this happens, you find yourself in a complete win-win situation! Look at the various factors associated with the home loan: Do not base your decision solely on the interest component. 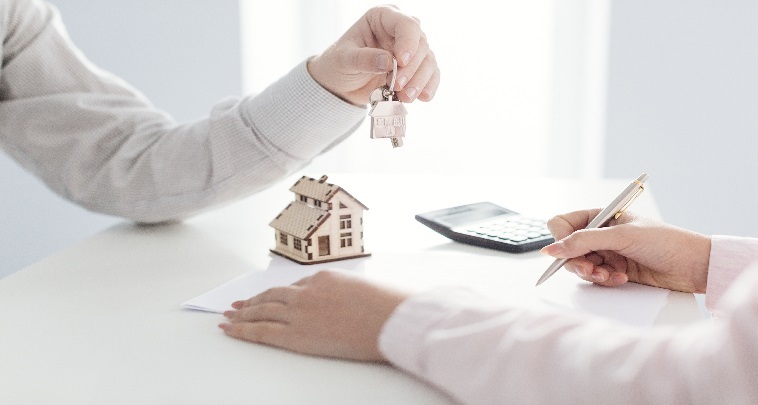 Also focus on other aspects of the home loan such as the tenure of the loan, the down payment you need to make and the repayment scheme offered to you. These will help you find the absolute best home loan. Where to get the best home loan from? As a traditional thinker, you may be inclined to take a good home loan from your bank. While there is no harm in doing so, you must be aware that many trusted NBFCs also offer excellent home loans at excellent interest rates these days. Explore your options and see which financial institute gives you the best offer. You will surely make an overall financial profit if you follow this very simple tip when taking a loan to buy your dream abode. Also, if you have a poor credit score, a bank may not want to give you the home loan. The NBFCs are more liberal in their outlook and offer you the home loans, albeit at slightly higher rates of interest, even if your credit score is not very healthy. This helps you to own your own house in a safe and legally viable manner. You can find a lot of help online when taking a home loan. You can compare the various loans, read reviews about the loan providers and also explore the current interest rate trends. These factors make it easy not only to choose the perfect home loan but also to make a wise purchase. Indeed, a home loan can buy you your own roof and help you live in a safe, dignified and honorable manner for the rest of your life. Take a home loan at a good rate of interest and make the most of the financial aid it offers. It is easy to take and to maintain a good home loan if you follow the tips and suggestions mentioned above. What are you waiting for? Locate your ideal home loan and apply for I without wasting any more time.